The restaurant itself had just undergone some redecoration with famous Mexican artists adorning the walls to celebrate the restaurant’s 14th anniversary. I loved this decor – while not all of it was beautiful, the pieces definitely gave the room a stylish atmosphere. There’s just one tasting menu but there are some choices to be made. 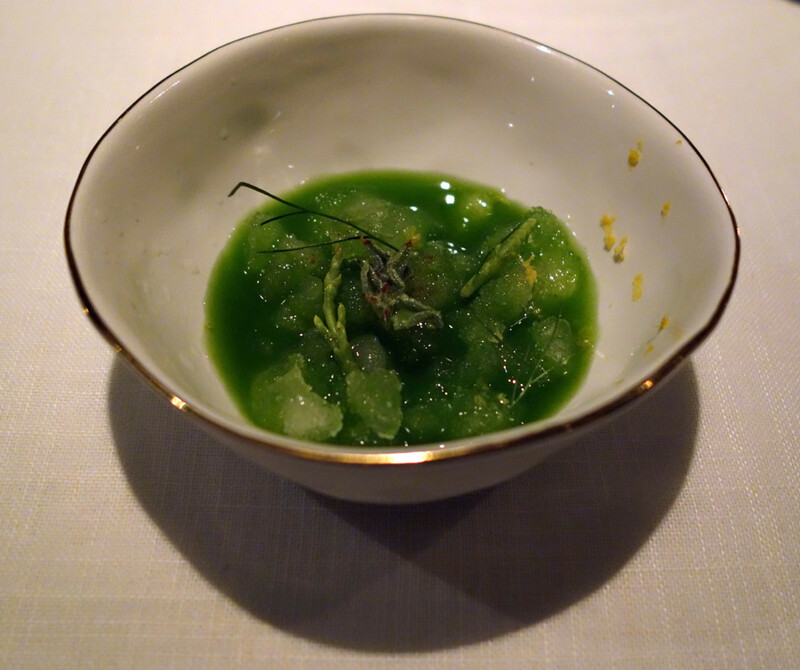 We started with a fennel, salicornia, starflower and sweet lime snow cone, which was the perfect palate cleanser. This was followed by a number of street snacks – baby corn with powdered chicatana ant (yes ant!! ),coffee and costena chile mayonnaise, chia seed and avocado aguachile with worm salt (a sort of broth), a kale chicharron and a tostada (made with blue maize) with fish and chile. It’s really interesting to see ingredients that are becoming increasingly ‘trendy’ back home, especially among the Whole Foods crowd, being used in a more traditional setting – I loved the kale chicharron and the chia seed and avocado in particular. 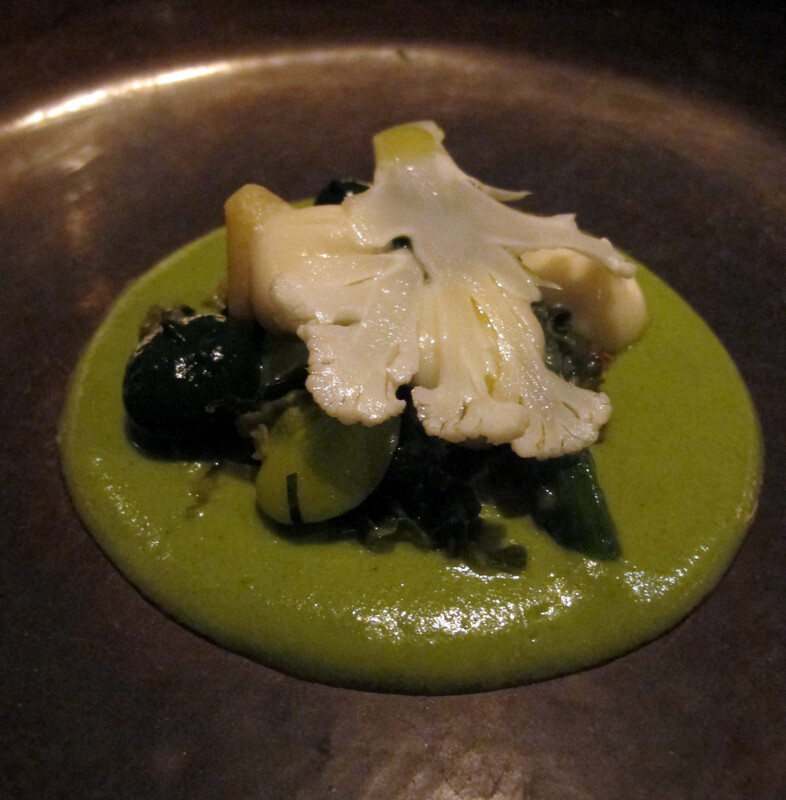 Following the ‘street snacks’ were a few more vegetable based dishes. 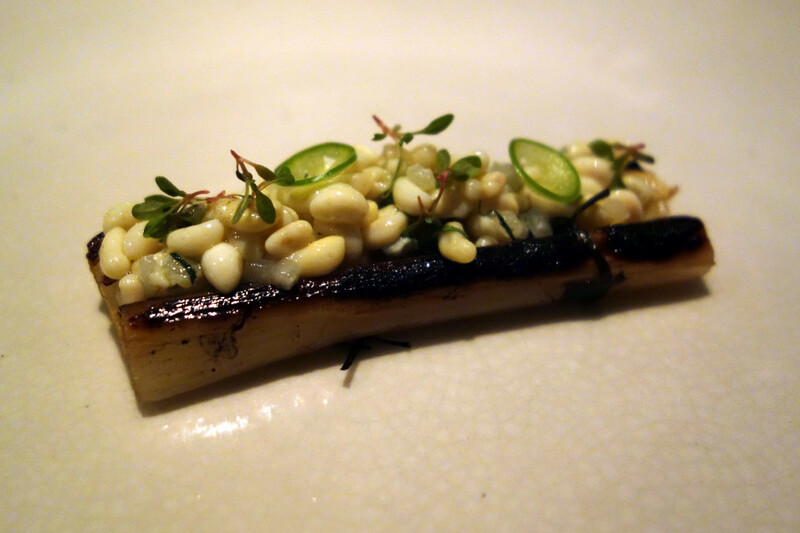 A sweet but earthy toasted leek with escaroles (photo above) which was matched perfectly with a rich bone marrow mayonnaise. And I seem to recall that a dish involving no less than six different types of vegetables (artichoke, turnip, asparagus, cauliflower and kale with broccoli mole) even got a thumbs up from the boy! 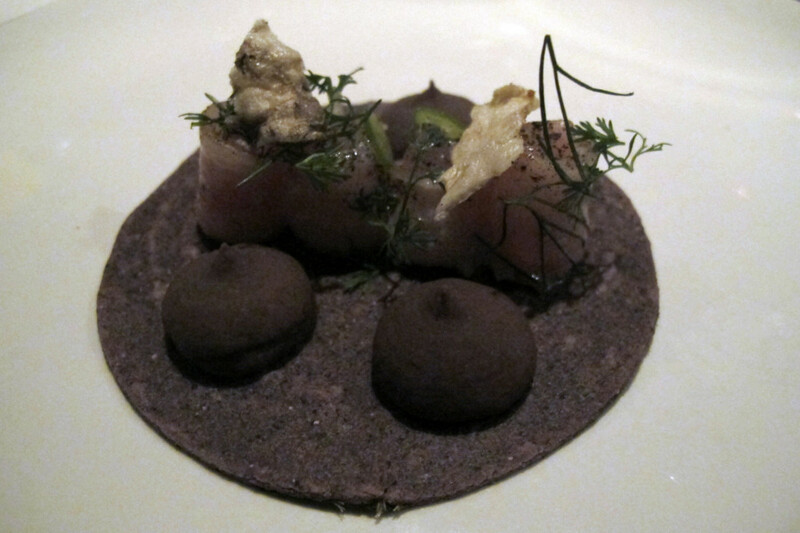 For my taco course I opted for fish option. 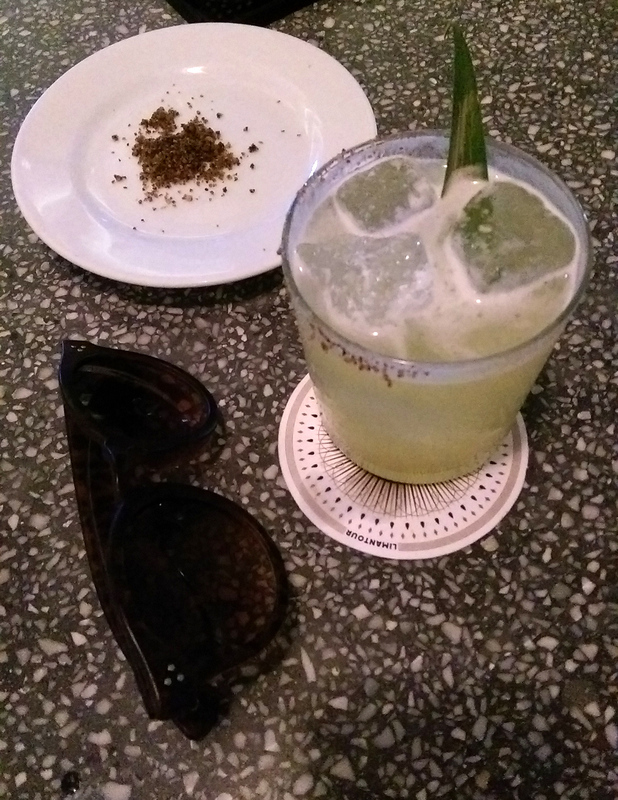 Served with frijol and hoja santa (a sacred leaf). 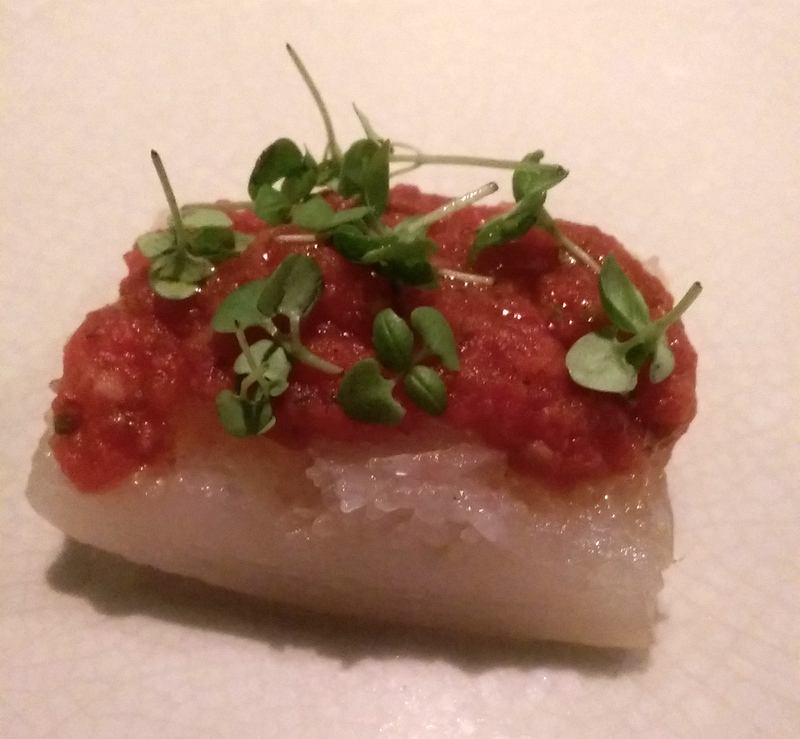 I wanted one fish and one vegetarian course but sadly I think I got them the wrong way around – this taco was a little dry and lacking in flavour and I think the vegetarian option may have been a better call. For my main I had the squash served with a tomato sauce and basil. Chilacayota (squash) is a local speciality and so I thought I should try it…I probably should have done my research. I was envisaging the sumptuous flesh of the butternut variety, whereas chilacayota is a bit slimier and comparatively lacking in flavour – not really my thing. 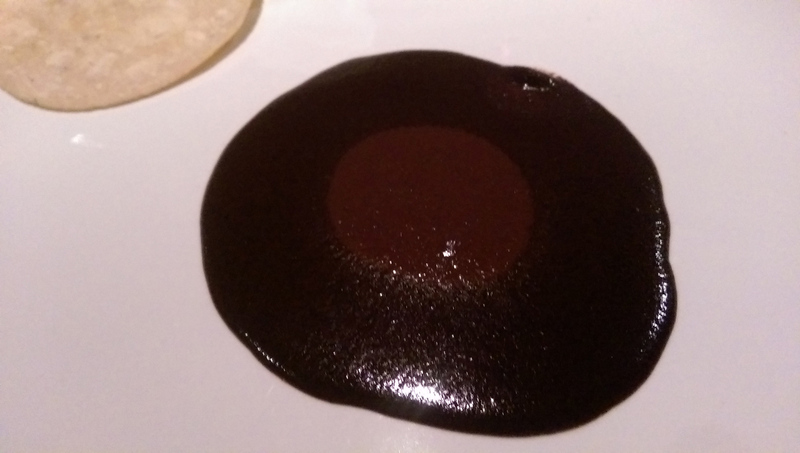 The main event was the mole madre – a rich savoury sauce made with the best chocolate and spices – cooked every day for over a year to really intensify the flavour! Served with delicious home-made tortillas, this course was immensely satisfying but should come with a bib – this stuff is messy! 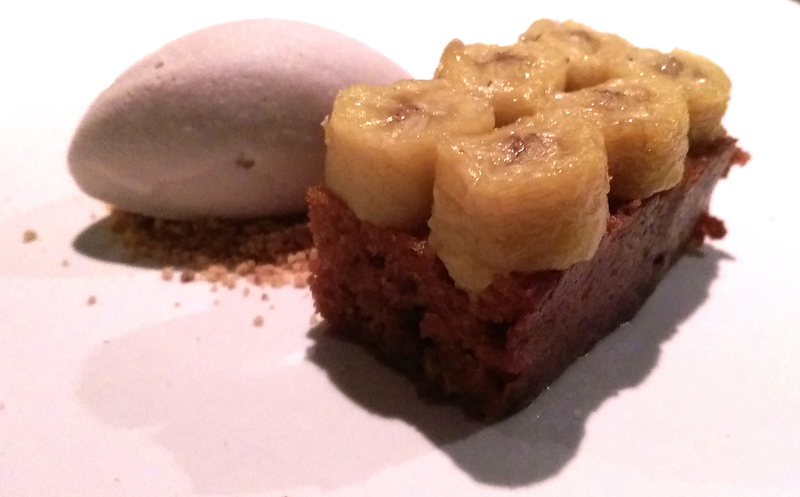 For pudding I had the salted caramel cake with plantain, peanut and sour cream. There was a little too much emphasis on the salt and too little on the sweet for me, with the cake also being a little dense. 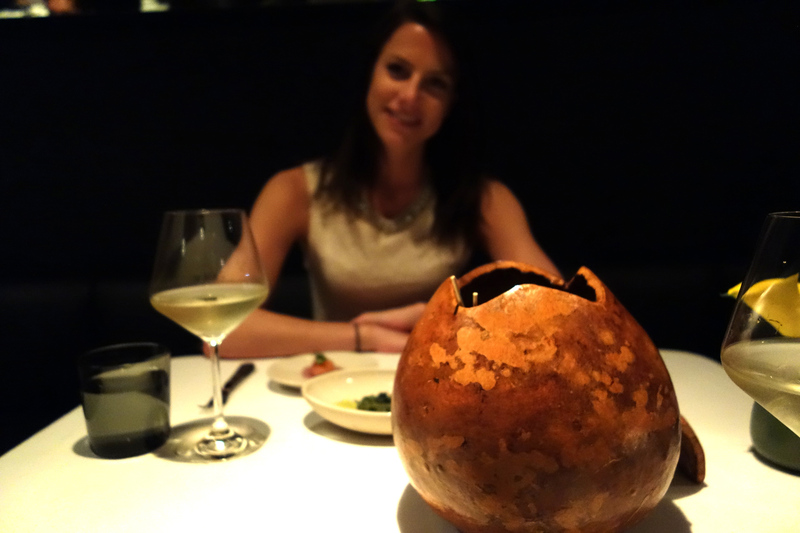 This entry was posted in eat and tagged gourmet, Licoreria Limantour, Mexico City, Pujol, world’s 50 best restaurants. Bookmark the permalink. ← Mexico City – the ultimate underrated cultural city?